While many businesses have shifted focus to online marketing strategies in recent years, to do so at the expense of print marketing would be remiss. There are still many potential customers who like the feel of something solid in their hands to remind them about your business, products, services, and more. These are a few essential tools you need to make part of your print marketing strategy to boost your success on the World Wide Web and off. This is the one essential tool that has been in the trenches and stood the test of time. It is sized to fit in wallets or snappy little business card holders and is affordable enough to give out freely. In fact, it should be a staple as it identifies you to others, introduces you to others, and provides you with the opportunity to advertise your business and website with a handshake. This makes it far more personal than someone randomly coming across your site online. Printing technology has evolved to the point that you have many options in size, color, and scale for your business cards. Just remember that part of the appeal is their easy portability so don’t size it so that it becomes inconvenient for your potential customers. For best results make your business card eye-catching, informative, and memorable. This way people will associate you with your business every time they come across your card in their wallets. Don’t forget to include social media contact information for even more ways to stay in touch with customers and potential customers. Nothing lets potential customers know the ins and outs of your business quite as effectively as a print brochure. You can even size them so that they are easy to mail out to existing customers to introduce new products and services, or as a reminder of the valuable services you have to offer. In addition to sending brochures out in the mail, you can hand them out at consumer events and conferences to introduce people to your business. You can also give them in person whenever anyone inquires about what you do. 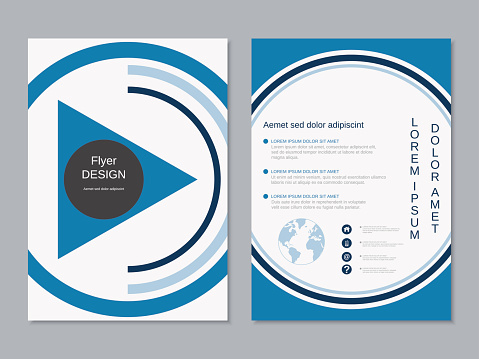 Make your brochures visually appealing and keep the language informative and succinct for the best possible benefits. Another great way to reach out and connect with your target audience is through newsletters. Many people use this in email marketing to great effect. Unfortunately, that leaves some of your potential customer base out in the cold. Offering a print newsletter every week or month allows you more opportunities to connect, share, and build relationships with your customers who aren’t yet online. It adds another unintended benefit to consider. We’ve reached the tipping point where actual mail is a rarity compared to email and customers are far more likely to read the materials you send them in the mail. Always keep your print materials professional, well-written, and on topic. When you do this, you’ll be able to double your exposure by reaching out to net-savvy customers, as well as those who prefer a few “old school” methods and tools. Haxxess Enterprise Corporation is your go to resource when it comes to blending old and new technology to keep your business ahead of the competition. Contact us at (705) 222. -TECH or via email at info@haxxess.com to learn more today.